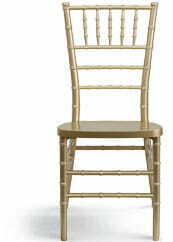 Best Chiavari Chairs ships products from distribution centers, strategically located throughout the United States, to destinations all across the 48 contiguous states, Alaska, Hawaii and Canada. Many products are in stock and ship within 1 day. Some products are shipped directly from the manufacturer, which can require additional processing time. Your order is securely packaged to arrive undamaged and complete. After your order ships, the transit company (FedEx, UPS or a freight carrier) is responsible for the safe and timely delivery of your products. For this reason, Best Chiavari Chairs cannot guarantee delivery dates or times. 1. Keep the damaged product(s) with carton(s) and packing material. 2. Call the freight company to report the concealed damage. Contact us at 1-855-307-3864 immediately after the driver leaves if there is a shortage or damage of any kind. Please have a copy of the delivery receipt with your notations for reference. Call our Customer Service Department at 1-855-307-3864. Contact Customer Service at 1-855-307-3864 and give the FedEx/UPS claim or case numbers to our Customer Service representative.